This event gives teams a venue to come together to "Honor the Game" of lacrosse, playing competitively while displaying dignity and class both on and off the field. The ideals of respect, sportsmanship, connection, team spirit, trust, leadership and tradition are at the core of the philosophy behind this event. There are no champions crowned or MVP awards given out – this event is about the experience each player gets by participating both on and off the field. Click here to go to tournament website. This tournament is for players under the age of 15. 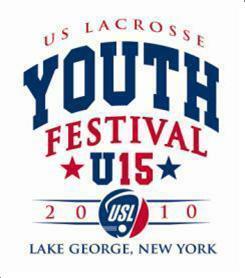 Meaning that players may not be 15 years of age on or before December 31, 2009 to be eligible for the 2010 US Lacrosse U-15 National Youth Festival. Accordingly, players that turn 15 after December 31, 2009 are eligible. 9th graders are not allowed to participate in this tournament. We will depart on Thursday, June 17 at 6am on United Airlines and fly into Albany, NY around 5pm. We will return on United around 6:45pm on Sunday, June 20. We will be taking the first 20 girls to register and pay their deposit for this event. You must pay a non-refundable deposit of $350 to hold your spot on this team. Estimated cost for this trip is $500 without airfare. Click here for the final schedule. to pay for your deposit and register for the team now.